The most powerful of Merrychef’s popular range of heavy duty commercial microwave ovens, the Merrychef HD 1925 is packed full of features that make it an effective and efficient edition to any commercial or industrial kitchen. One feature that sets the Merrychef HD 1925 microwave apart from other similar professional microwaves is its twin rotating passive antenna, which is designed to ensure even cooking. 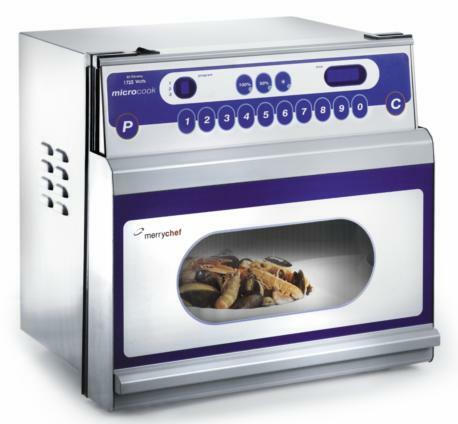 Combine this feature with this commercial microwave’s 28.5 litre capacity and easy to clean stainless steel cavity and cabinet, and you’ve got an excellent all around oven. Allow minimum 365mm above the front of the microwave oven to enable the door to operate freely and to be removed for cleaning. Plugs into a standard 13amp socket.